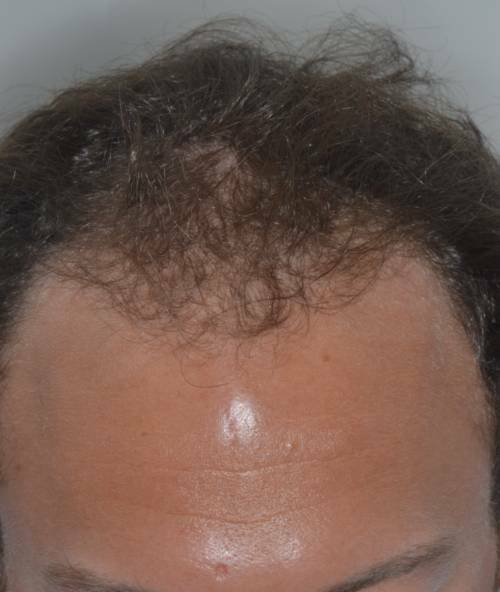 26 year old male with hair loss. 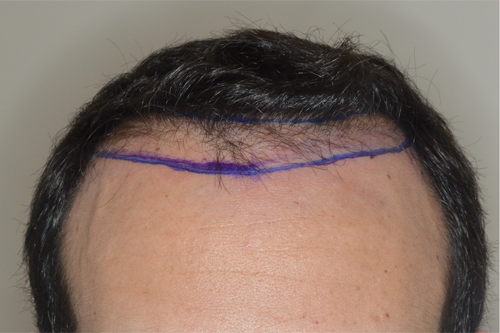 1400 FUE procedure performed to the frontal forelock. 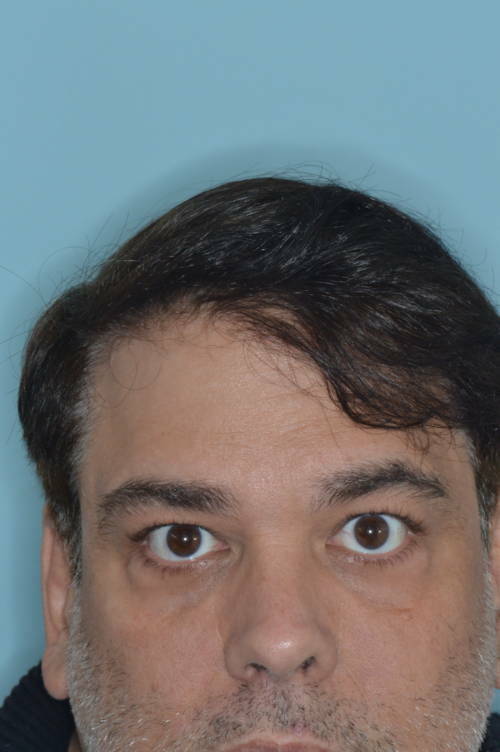 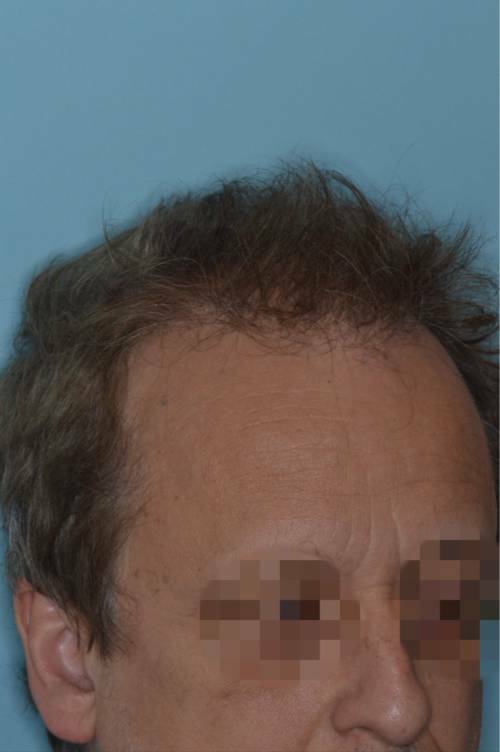 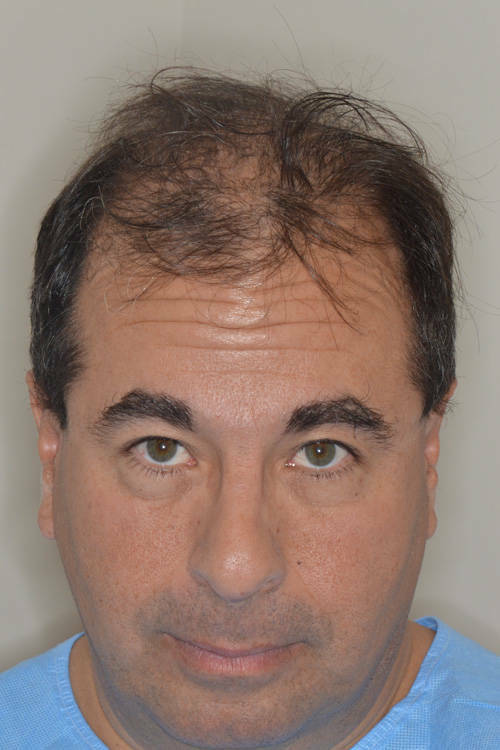 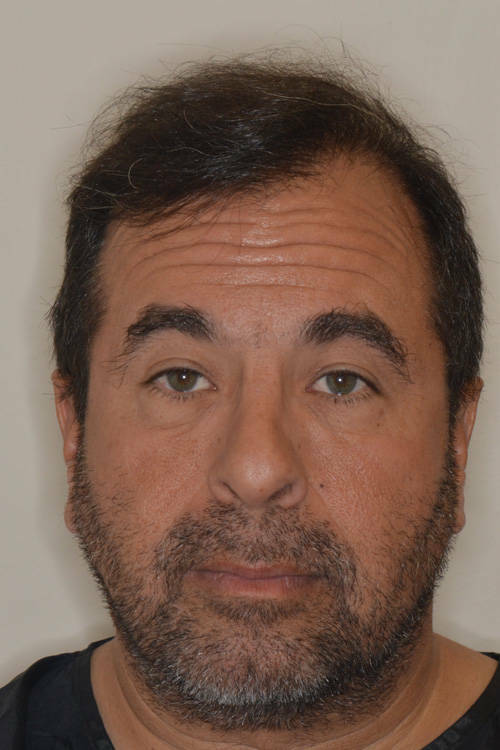 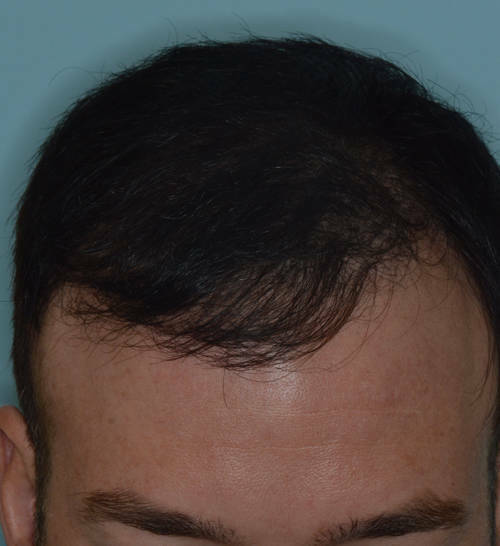 Considering his young age and the risk for further hair loss, a conservative procedure was performed to the frontal forelock to make the most aesthetic difference. 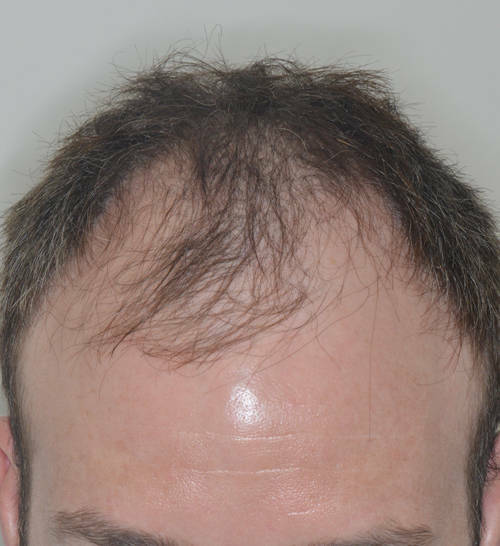 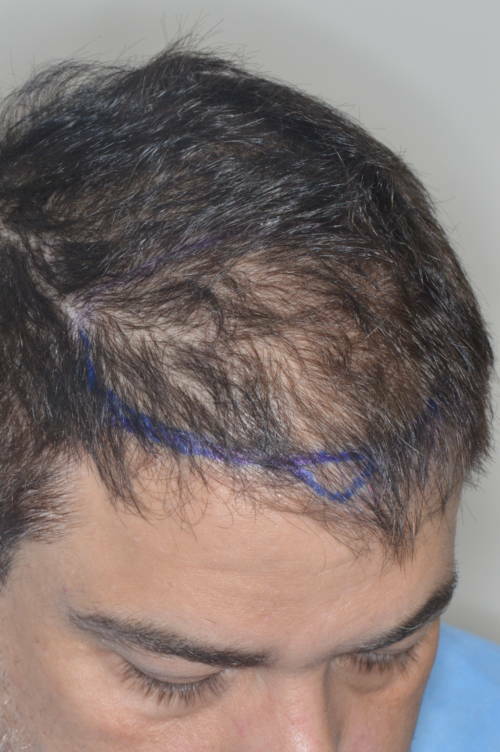 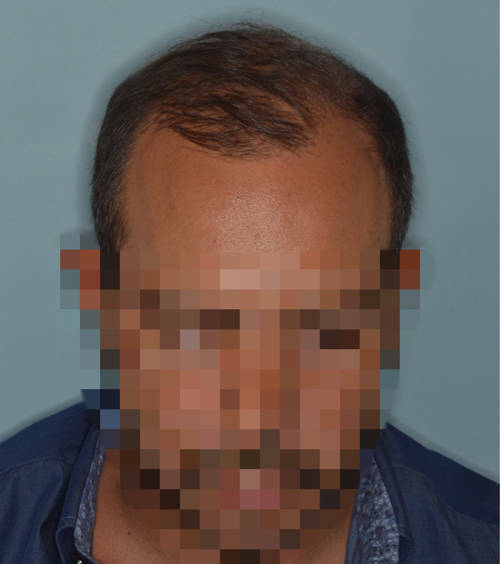 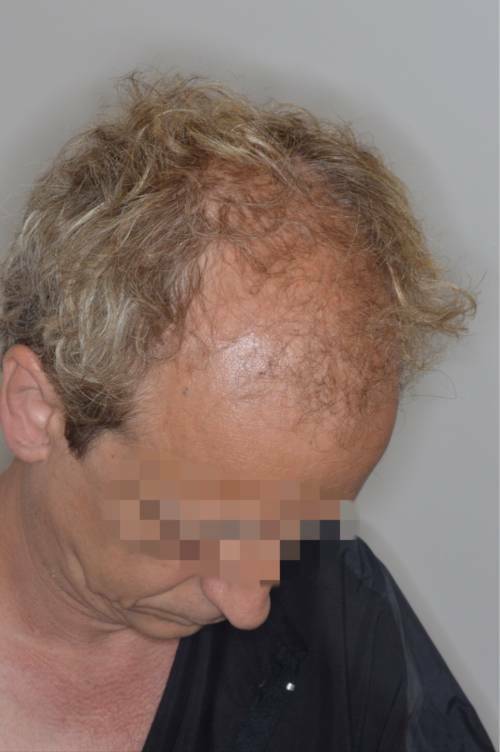 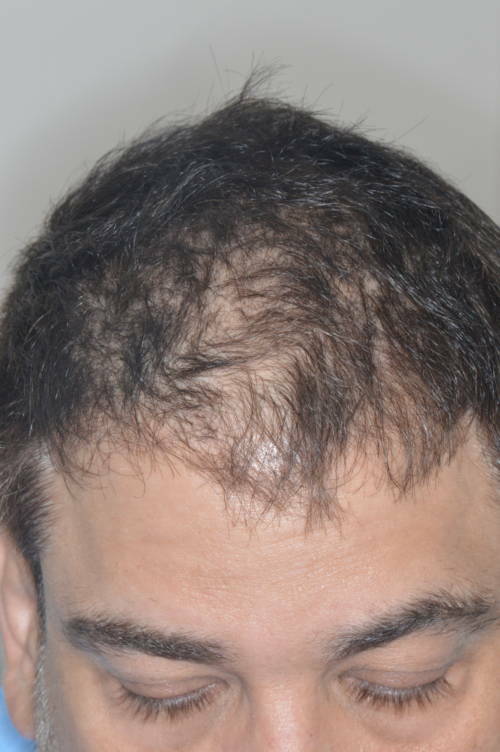 38 year male patient who received 1200 grafts to reinforce and thicken a receding hairline. 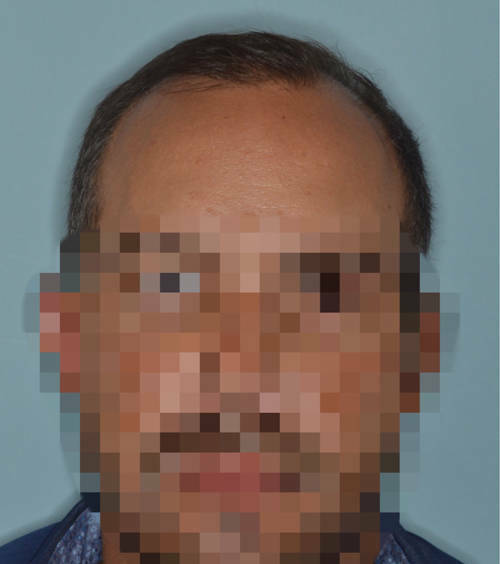 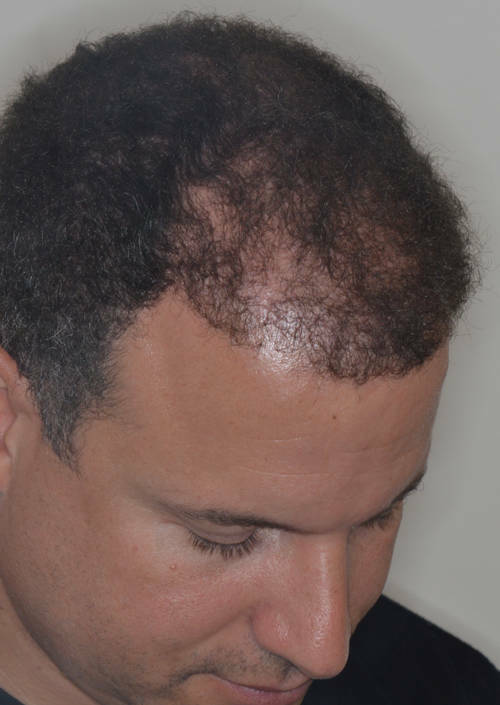 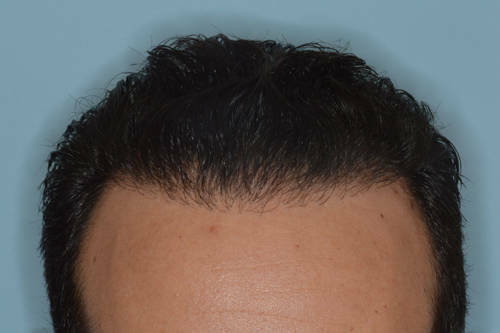 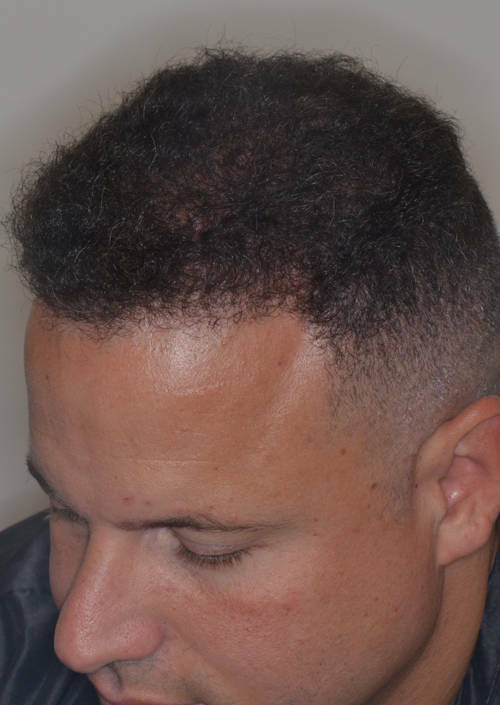 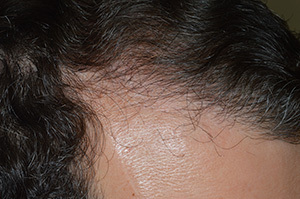 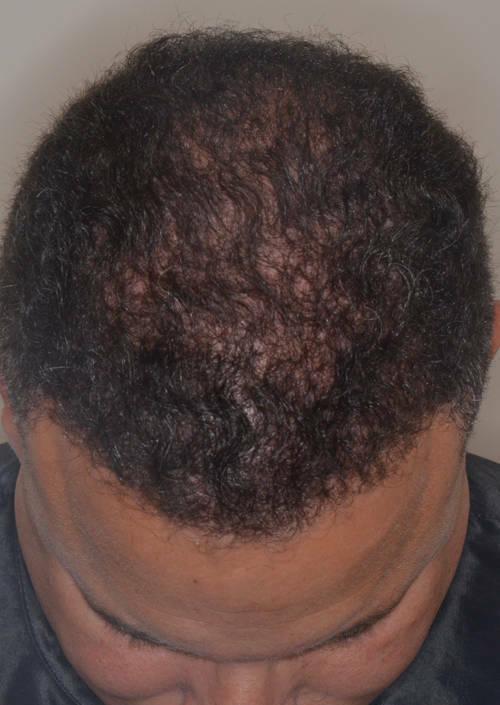 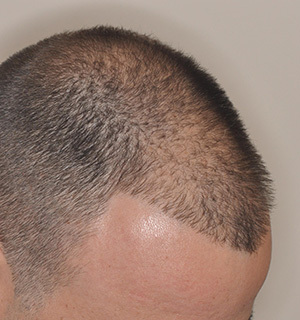 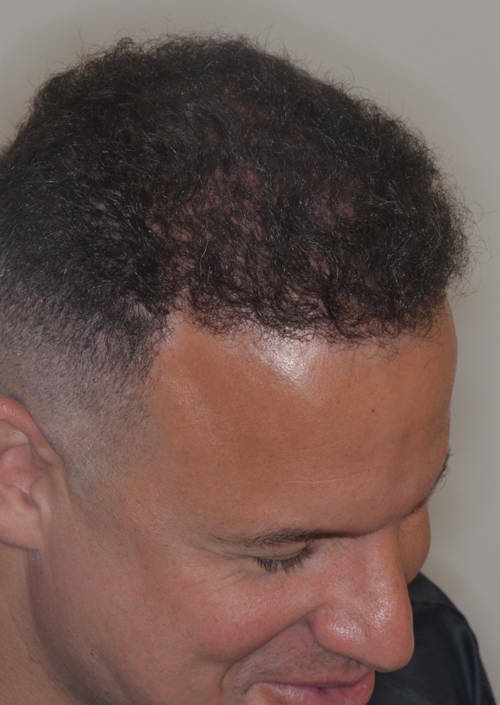 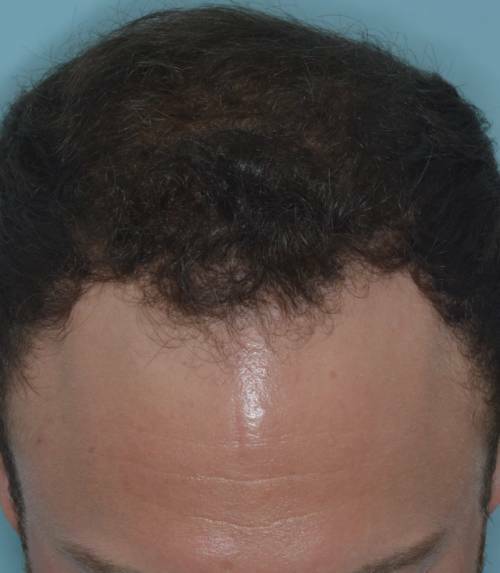 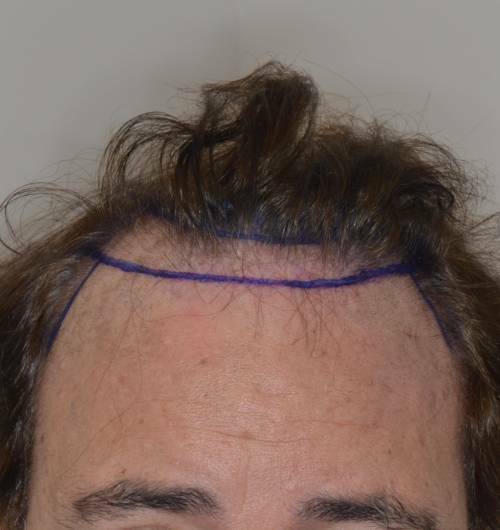 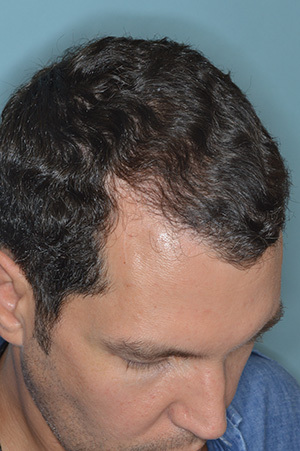 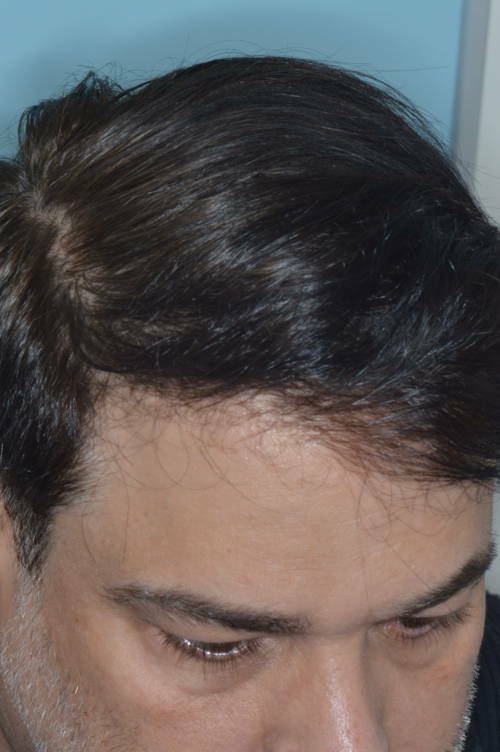 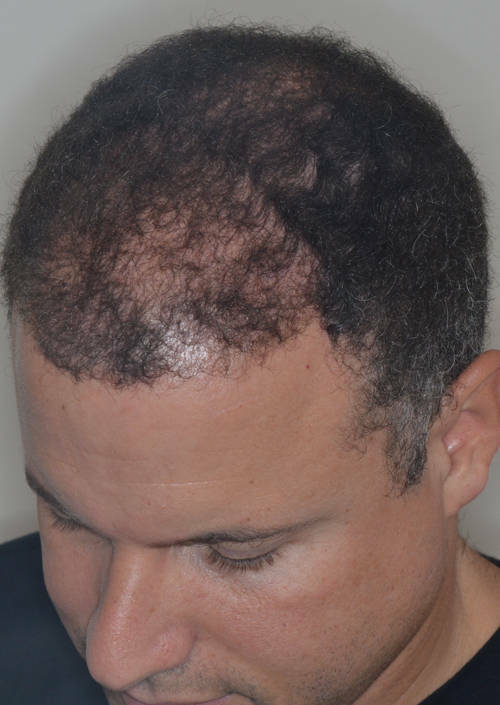 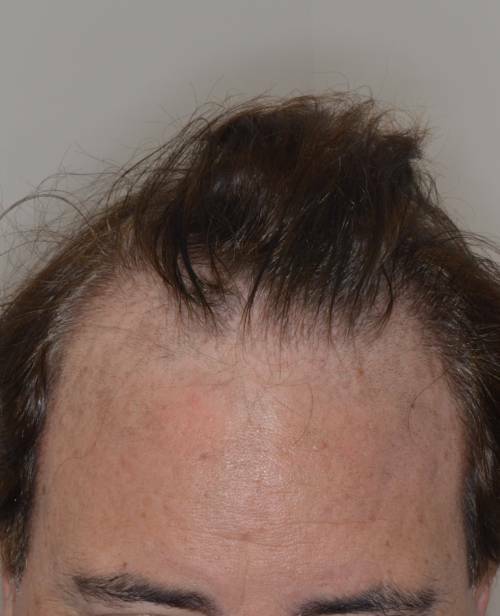 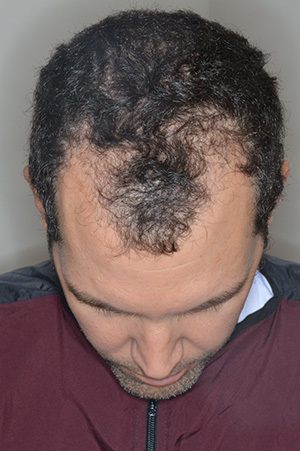 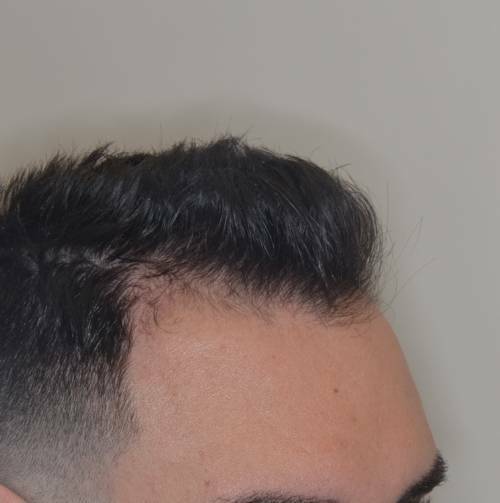 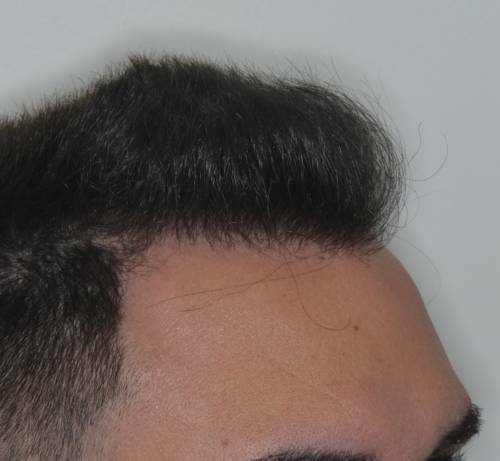 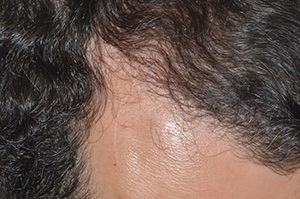 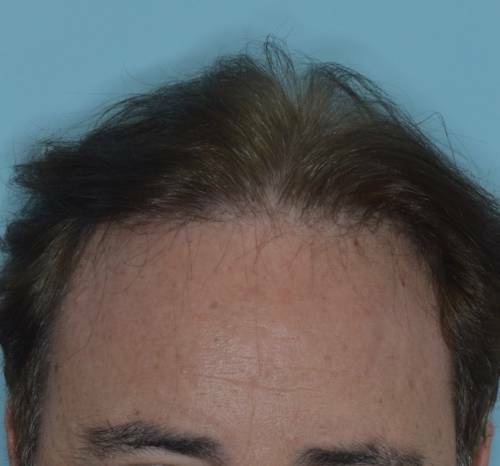 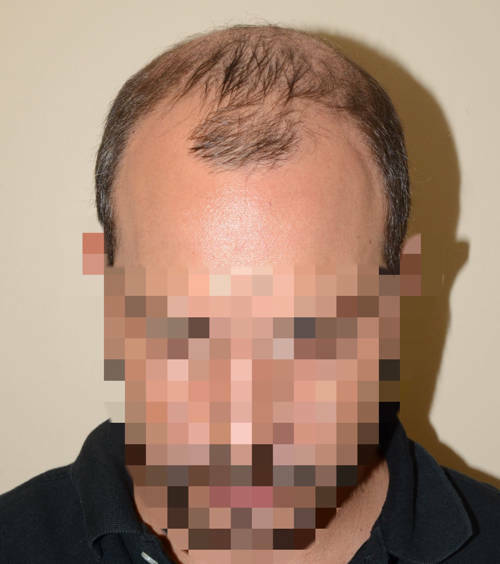 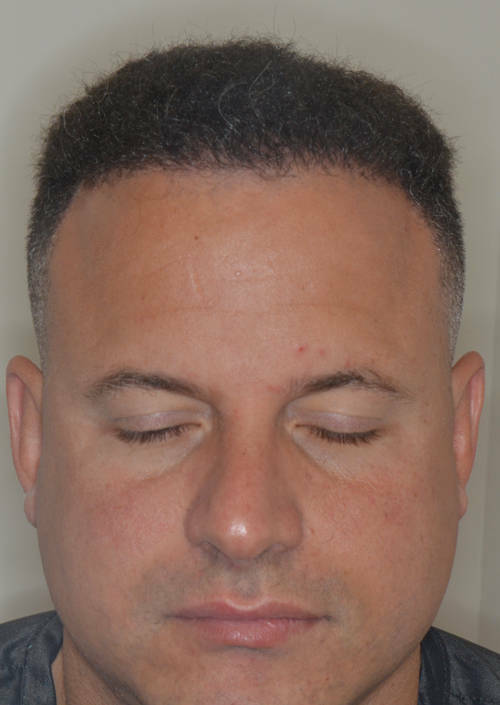 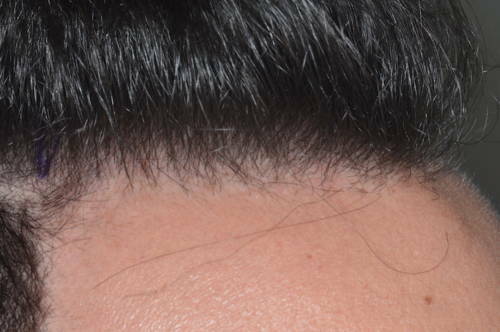 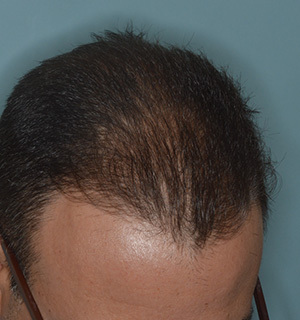 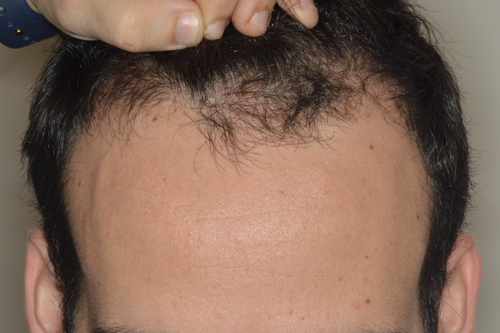 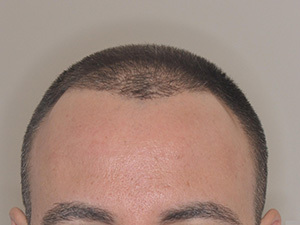 Close-up photos show details of the hairline after hair restoration. 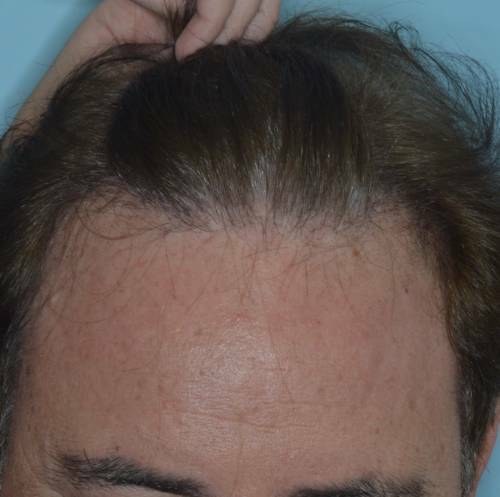 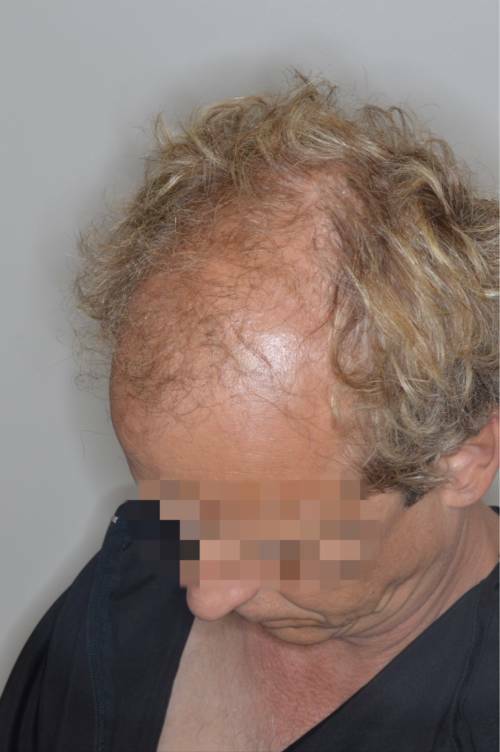 56 year old patient with hair loss to the frontal and temporal region. 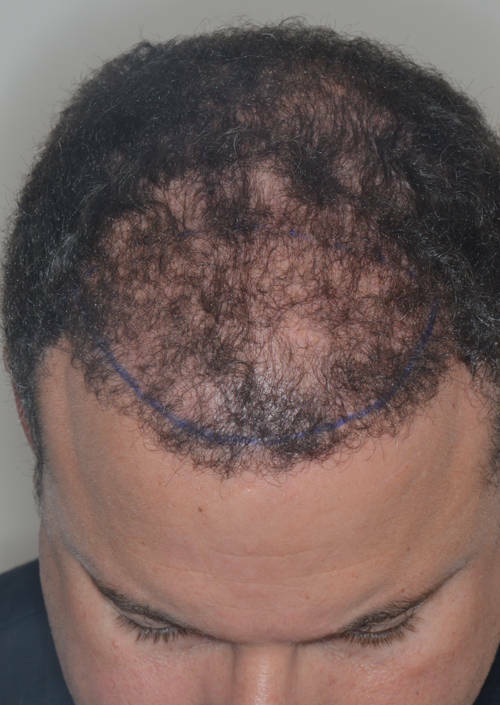 Before and 1 year after 1794 grafts to the frontal and temporal region to lower and restore hairline. 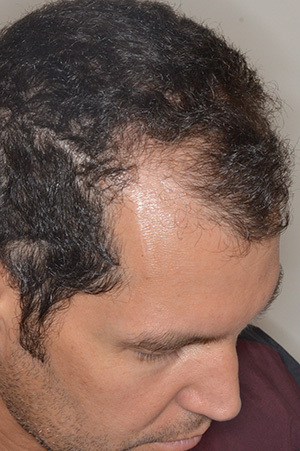 Before and after 1302 grafts by FUE after procedure to the frontal forelock. 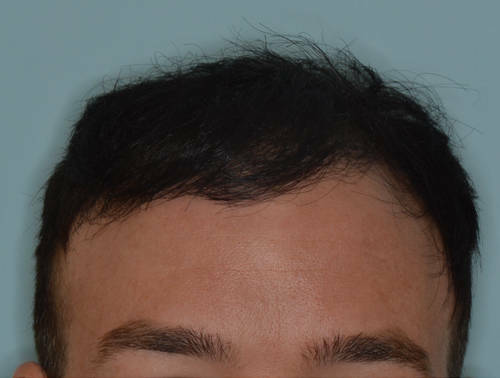 Before and After 1550 grafts by FUE to frontal area. 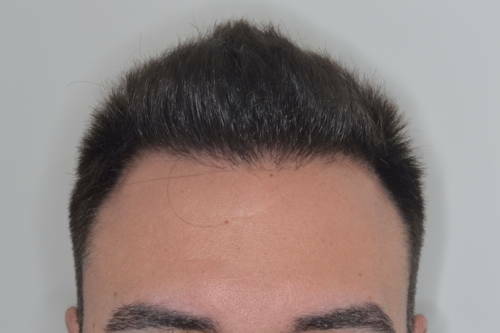 Before and 1 year results after 1100 grafts by FUE to restore the hairline in a 35 year old male. 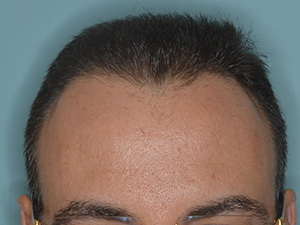 Challenging case in both the creation of natural-appearing results and density. 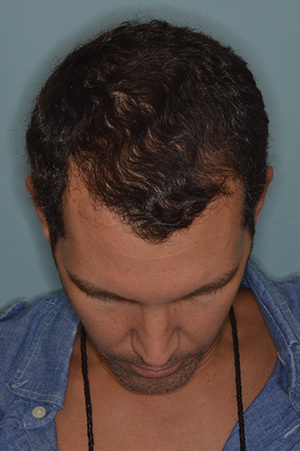 Given the contrast between the dark hair and the light scalp, the creation of density is difficult while the thick, dark hair also creates a challenge in providing for natural-appearing results. 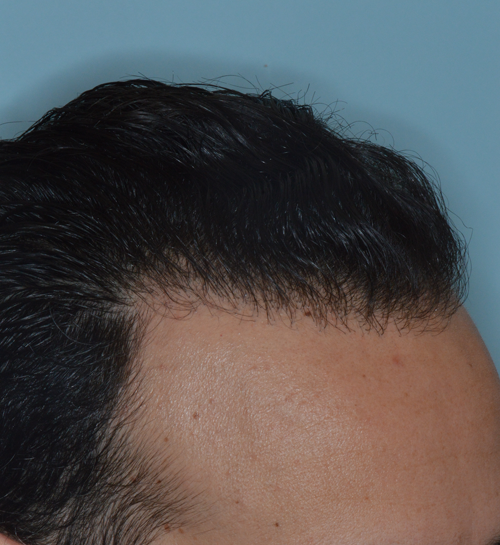 The use of finer hairs at the hairline as well as a staggering technique allows for the creation of a natural hairline in this case, while the use of the larger grafts contributes to the density behind the hairline. 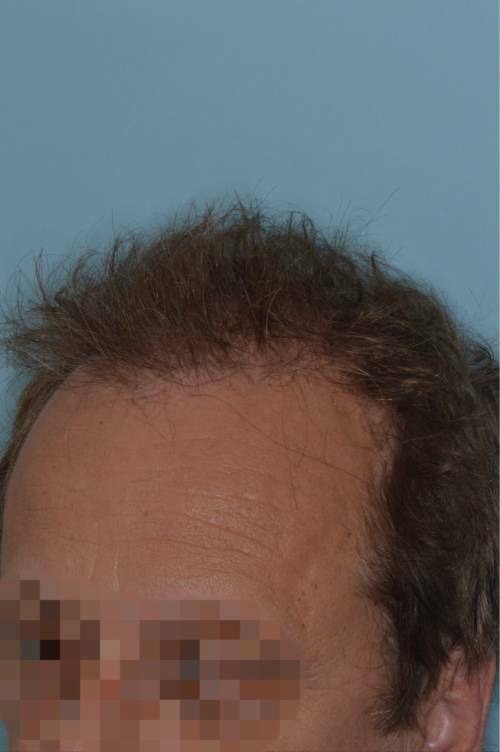 Before and 1 year after 1400 grafts by FUE. 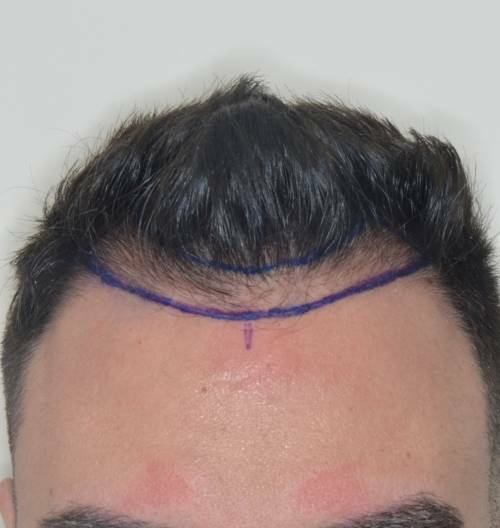 FUE procedure. 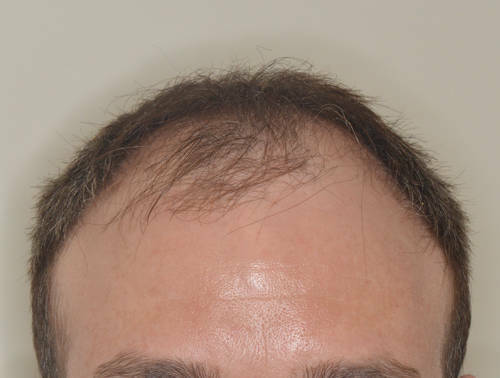 Before and 1 year after 1500 grafts to the frontal forelock. 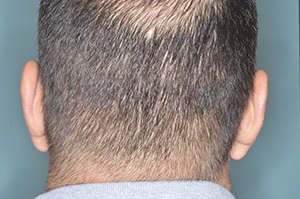 Donor site after 1500 FUE grafts is shown.